Mat Lloyd talks to Rooms Magazine about spoken word, music, influences, Lazy Gramophone and Time. 'Time is a treasure box brimming with creativity and fresh talent.' ~ Rooms Magazine. 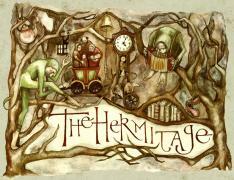 Rima Staines talks Time in her extraordinary blog, The Hermitage. 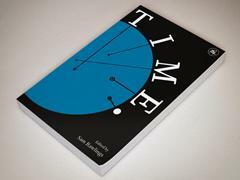 '...we'll bet you've never seen time as it's portrayed in this stunning new publication.' ~ Fabric Magazine. 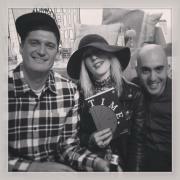 The Time book launch is to be held at London's The Drink Shop and Do on Sunday 26th May from 15:30 to 23:00. The Event is to be Free Entry. There will be a Gallery Display of images & text from the book, while the Lazy Gramophone Stall will be selling First Edition Copies of Time as well as various other works produced by our writers and artists. If you choose to stay with us all day then you will be treated to a number of Performances By the Book's Contributors (see timings below); though should you find yourself otherwise engaged, do feel free to drop by at any point during the day - even if only to have say hi, catch a performance and share a quick drink. Kirsty Allison blogs about our Time project.